Independent letting agent based in Putney South West London offering property management and block management. Nicola Bennett Property Services cover a wide area of London and parts of Surrey. This entry was posted in NBPS. Find out about letting agent charges when you rent a home. In November 2016, the government announced in its Autumn Statement that it plans to ban letting agent fees for tenants. No timetable has been set for the new law needed to stop letting agents charging tenants. You could also have to pay a holding deposit to ‘reserve’ the property before you sign a tenancy agreement. It’s worth shopping around as charges vary. Find out more about using a letting agent to rent a home. It’s a criminal offence if a letting agent charges you to register with them or to show you a list of properties to rent. Before you sign a tenancy agreement, make sure you find out about all the fees you’ll be charged. Fees don’t have to be published in this way for websites that just advertise properties, like Rightmove or Zoopla. Don’t pay a holding deposit or sign anything if you are not sure that you want the property. After you pay a holding deposit, the landlord shouldn’t ask you to pay a higher rent than you initially agreed. You have the right to change your mind and get all your holding deposit back if they do. You don’t have to pay a fee to stay on after the fixed term ends if you don’t sign a new agreement. You can complain to a letting agent redress scheme if the letting agent doesn’t resolve the problem. 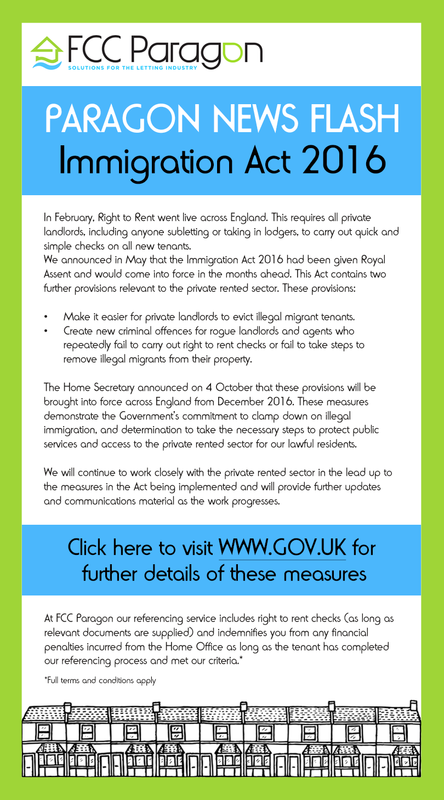 Letting agents must be a member of a redress scheme. If fees are unlawful or the agency doesn’t belong to a redress scheme you can complain to your local council’s trading standards department through Citizens Advice. This entry was posted in Properties To Rent. Don’t let a drip turn into a disaster! In recent years there has been plenty of coverage of floods and storm damage, but this has drawn attention away from the more common risk of ‘escape of water’. Rather than a large flood, it’s a leaking pipe or kitchen appliance that poses the greatest threat. An analysis of a sample of 400 claims over a three-year period found that 65% of all claims were for escape of water. This type of water damage often arises from problems with any tank apparatus, kitchen and bathroom appliances, or pipes and is the most likely reason you will make a claim in the next year. To make matters worse, a single water damage claim can often be symptomatic of a larger problem. Repeated claims for the same reasons will affect your policy at renewal. This may mean higher overall premiums, higher excesses or even a total restriction of cover for certain aspects of your policy – when you have made a number of escape of water claims in a year, it can be very expensive to find an insurer that will cover you. As an example of the effect escape of water can have, a few months ago, there was a claim resulting from a leaking washing machine that has so far caused more than £140,000 worth of damage to a block. The jury is in – escape of water is the biggest risk that you and your neighbours face. Knowing what to do at the critical time following a water leak is always a key priority. Your block can invest in equipment and measures to reduce the extent of water damage. But many steps you can take to minimise these risks are totally free and relatively simple. If the property is unattended for some time – often during the holiday season – ask your neighbours to check the pipes and appliances and make sure they can tell you where the stopcock is in an emergency. If you think your risk is lower in a newer building, think again. Escape of water claims are more common in newer properties. Across more than 25,000 units, we found that a block of flats built after 1990 is nearly twice as likely to report escape of water damage than one built between 1850 and 1990. While floods and storms may dominate the media, it is still the washing machine leaking that poses the most common threat, and the newer your building, the bigger the risk you may take on. Welcome to the new and improved NicolaBennett.com we have updated information for everyone from Landlords to Tenants, emergency contact information, lettings and sales. You can now contact us directly from this site and unlike many other sites this will be a live site, used and updated regularly. So be sure to bookmark us and follow us on Facebook and Twitter for regular updates and sign up to follow this site for info sent directly to your email address!! Independent letting agent based in Putney South West London offering property management and block management. Nicola Bennett Property Services cover a wide area of London and parts of Surrey. I am pleased to announce this will now include Woking, Staines and surrounding areas. Don Lynch 07792294638. This covers loss of heating, hot water or electricity only.